Micromax is one of the leading agencies on this mobile turf. The agency has acquired an edge over other smartphone companies within the few years. Either the smartphones or the other electronic equipment, it has surpassed many. Among which, the Micromax mobile phones are really popular in India. 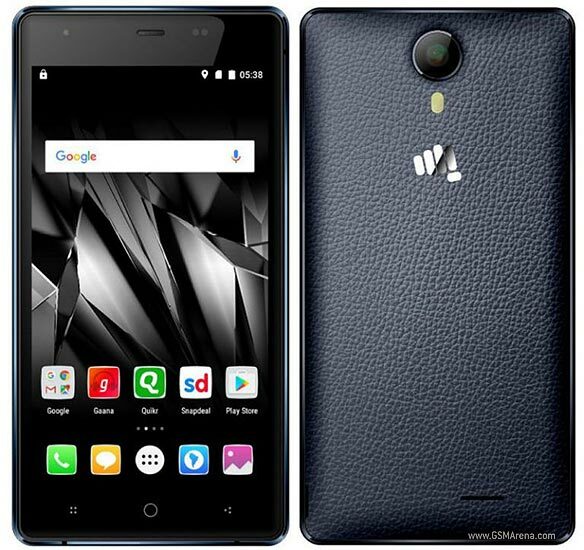 Micromax Canvas 5 Lite Q462 is already a popular choice that was launched recently in September 2016. Basically, this Micromax smartphone was and is in the current wave due to its connectivity and versatility. Although, it has been a month in its fame, and even many more mobile phones are also added to the queue, but it still holds its place. Users are considering its capacitive touch-screen factor with 256K colors a good aspect. Moreover, the mobile users focus on the two impeccable phones’ features of camera and the connectivity. And, the Micromax Canvas 5 Lite Q462 had cleared both the tests. Its 4G LTE connectivity has provided the users with convenience in surfing the internet mobile applications. Many of them quoted its connectivity with the “thumbs-up” emoji. While, the camera lovers love its camera, i.e., of 8 Mp with the fantastic LED flash and a selfie cam of 5 Mp. On an average, they give this phone 6/10 rating. Even, I also have this phone and it is really good! This camera will never disappoint the selfie lovers. Starting with the screen size to the RAM, all the features are up to the mark. Discussing its insides, it runs on the 1.3 GHz Quad core Mediatek processor, coupled with the 2 GB RAM caters the smooth functioning of the device. The users too agree with it and even praise the operative parameter of this smartphone. Screen Size – 5 inches: 90 out of 100 users have raised their hands in “Yes”. Battery – 2000 mAh: Okay! Okay! No Fingerprint Sensor – Sad not to have it! Available Sensors – Light sensor, Proximity sensor, Accelerometer: Their performance is on an average scale. Storage – 16 GB and can be expanded up to 32 GB: Users have given it around 7.1 rating. It is the most significant query. Despite all its features (either appreciable or not), is Micromax Canvas 5 Lite Q462 worth buying? Well, it depends on your needs. If memory and connectivity are important to you, then it is one of the best Micromax smartphones. However, its battery life can be disappointing. All in all, you get a lot for your money with this smartphone. Micromax Canvas 5 Lite is a solid choice for those who are not too fussy about battery life and camera and want to get the most for their money.